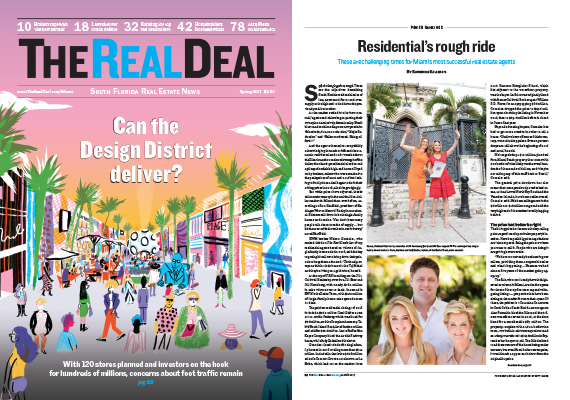 Coming next week: The Real Deal South Florida’s summer issue! Keep an eye out for The Real Deal South Florida’s summer issue, which will be hitting the web next week and newsstands and mailboxes later this month! The upcoming issue dives into the most active condo developers in the tri-county region and how they’re adjusting to the slow market; looks into what’s happening among commercial brokerages; analyzes the impact of new Class A rental buildings on the multifamily market, and more. We now publish four magazines each year, with in-depth coverage of South Florida’s residential and commercial markets. Check out our latest March 2017 magazine here. We are also pleased to announce our new distribution partnership with the Miami Association of Realtors, allowing for an even larger readership. For last minute advertising opportunities, contact Ross Fox at rf@therealdeal.com.